Insights>Retail & Ecommerce>What is Customer Lifetime Value (CLV)? 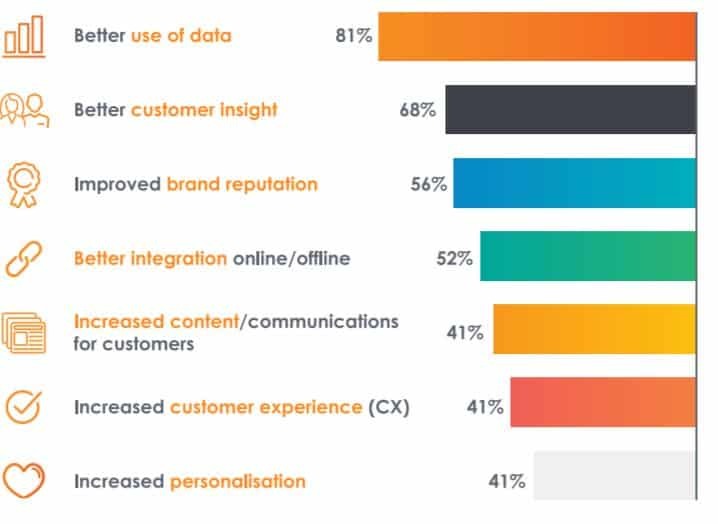 Marketers live in the age of data. We track everything from emails and social media to website visits and checkouts. While some tools allow you to measure a customer’s journey from start to finish – and estimate the value of each touchpoint in that journey – gauging the overall value of each customer is pretty difficult. But it’s an important metric, especially as we think about overall marketing spend. Customer lifetime value (CLV) is the total value a consumer brings to a retailer throughout his or her relationship with the business. CLV should be the primary and fundamental metric retailers use to measure and evaluate the performance of their campaigns. CLV is a long-term indicator of business health, because you can estimate the value of not just a single marketing campaign but your whole marketing stack. At Criteo, we spend a lot of time thinking about how retailers and brands can work to acquire, convert, and re-engage customers. CLV shows exactly how well all these efforts are working. Especially re-engagement. CLV is a measure of your long-lasting relationships with each customer. Only by building loyalty and staying top-of-mind across multiple touchpoints can you ensure that those relationships stay healthy. Of course, to really know if CLV is working, you have to start monitoring it across your marketing channels. When asked what could help increase CLV, 81% said a better use of data. That was by far the most popular response in the survey. And it makes sense. CLV can really only be monitored if you can connect all your different channels and see the customer journey across each touchpoint. There are two primary measures of CLV: predictive and historic. Predictive CLV is a projection of how much revenue a customer will generate for a business over the course of the customer relationship. Historic CLV is the sum of all profits from a customer’s past purchases. This number is based on existing customer data from a specific period of time. Our survey with Vanson Bourne found that 54% of marketers primarily measure predictive CLV and 45% measure historic CLV. Ultimately, if you can break out the value of each channel involved in a customer’s lifetime, you’re building a metric that expresses the long-term health of your business, not just the short-term returns from a campaign. CLV can be a data point that unites campaigns, channels, and teams under a common cause. 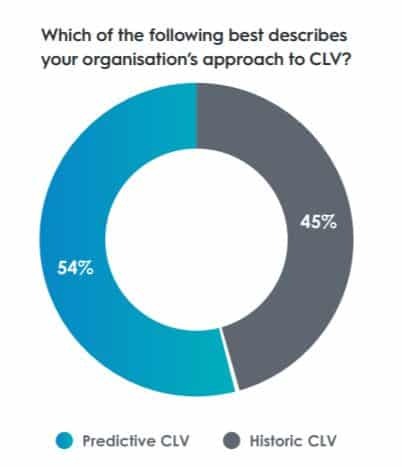 Want to learn more about CLV and how marketers are thinking about it today? Download the full “State of Customer Lifetime Value” Report!